Dr. Fahrenthold's research interests are in the areas of system dynamics, impact dynamics, and material modeling. He has developed a variety of thermodynamically consistent, energy based, multiphysics modeling methods for nonlinear materials and systems. This work has included formulations in Lagrangian, Eulerian, and Arbitrary- Lagrangian frames and has employed finite element, particle, and hybrid particle-element kinematics. 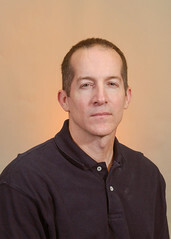 His research includes parallel code development and supercomputer based simulation of model validation experiments. Fahrenthold, E.P., “Computational Design of Metal-Fabric Orbital Debris Shielding,” AIAA Journal of Spacecraft and Rockets, Vol. 54, 2017, pp. 1060-1067. Hean, C.R., and Fahrenthold, E.P., “Discrete Lagrange equations for reacting thermofluid dynamics in arbitrary Lagrangian-Eulerian frames,” Computer Methods in Applied Mechanics and Engineering, Vol. 313, 2017, pp. 303-320. Fahrenthold, E.P., “Nonholonomic Formulation of Ab Initio Molecular Dynamics,” ASME Journal of Engineering Materials and Technology, July 2017, Vol.139, 034501-1. Shimek, M.E., and Fahrenthold, E.P., “Impact Dynamics Simulation for Multilayer Fabrics of Various Weaves,” AIAA Journal, Vol. 53, No. 7, July 2015, pp. 1793-1811. Son, K.J., and Fahrenthold, E.P., “Simulation of Orbital Debris Impact on Porous Ceramic Tiles,” AIAA Journal of Spacecraft and Rockets, Vol. 51, 2014, No. 4, pp. 1349-1359. Hernandez, R.J., and Fahrenthold, E.P., “Hybrid particle-element method for an unstructured hexahedral mesh,” International Journal for Numerical Methods in Engineering, Vol. 94, 2013, pp. 1191-1215. Shimek, M.E., and Fahrenthold, E.P., “Effects of Weave Type on the Ballistic Performance of Fabrics,” AIAA Journal, Vol. 50, 2012, No. 11, pp. 2558-2565. Son, K.J., and Fahrenthold, E.P., “Evaluation of magnetostrictive composite coated fabric as a fragment barrier material,” Smart Materials and Structures, Vol. 21, 2012, No. 10, 105027, pp. 1-13. Son, K.J., and Fahrenthold, E.P., “Evaluation of magnetorheological fluid augmented fabric as a fragment barrier material,” Smart Materials and Structures, Vol. 21, 2012, No. 7, 075012, pp. 1-9. Rabb, R.J., and Fahrenthold, E.P., “Simulation of Large Fragment Impacts on Shear Thickening Fluid Kevlar Fabric Barriers,” AIAA Journal of Aircraft, Vol. 48, 2011, No. 6, pp. 2059-2067. Rabb, R.J., and Fahrenthold, E.P., “Evaluation of Shear Thickening Fluid Kevlar for Large Fragment Containment Applications,” AIAA Journal of Aircraft, Vol. 48, 2011, No. 1, pp. 230-234. Rabb, R.J., and Fahrenthold, E.P., “Impact dynamics simulation for multilayer fabrics,” International Journal for Numerical Methods in Engineering, Vol. 83, 2010, pp. 537-557.